Google Drive for PC app will shut down come March 2018, Google has announced in a blog post recently. 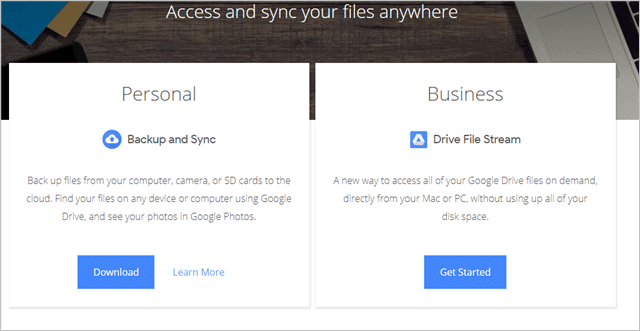 It is replacing the software that runs Google Drive for PC with its Backup and Sync app. Starting December 11, 2017, Google Drive for PC will no longer be supported; come March 12, 2018, if you haven’t switched to Backup and Sync, your files could be in jeopardy to the void. We look at what this means for Google Drive for PC users and why you should consider updating sooner rather than later. Users on Mac should also look for an upgrade on their computer as described in the process below. Why is Google Drive for PC/Mac Shutting Down? Google Drive for PC is an outdated way to use the cloud. 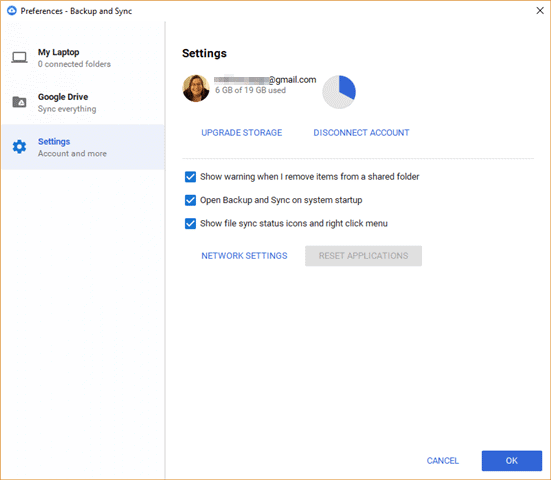 Google’s new Backup and Sync is a much more sophisticated way to use the cloud through Google’s services. As more consumers are turning to the cloud, Google’s tools to allow them to do that have evolved and grown over time. 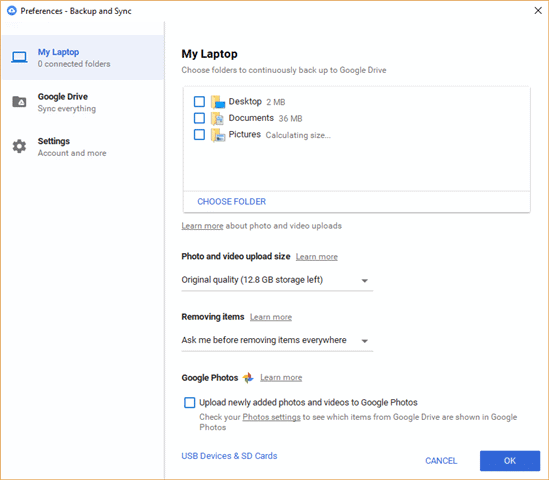 Backup and Sync not only stores all your files and folders but will also make photos part of Google Photos. Backup and Sync will show up as a shortcut within Windows Explorer. Drive Files Steam will also show up as a mounted drive within Windows Explorer. 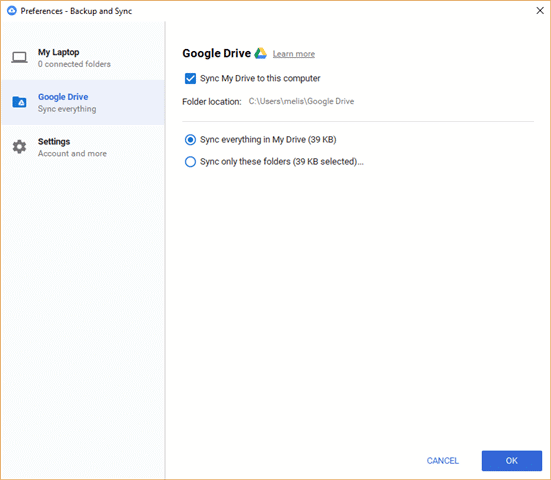 Note: You do not have to uninstall Google Drive for PC first before installing Backup and Sync; Backup and Sync’s installer will take care of everything for you and you won’t have to resync files and folders if you go this route. If you don’t want to wait until you must do it, you can install and begin using either Backup and Sync or Drive File Stream now by visiting Google’s website. Once downloaded, you’ll begin the installation process which will take a few minutes with no input needed from you. When complete, you’ll need to restart your PC to complete the installation. After restarting your PC, your previously installed Google Drive for PC will be updated to Backup and Sync. Backup and Sync’s UI looks so much cleaner than Google Drive for PC. It’s much easier to navigate, too. The Preferences area allows you to choose what folders on your PC Backup and Sync will in fact backup and sync. You can add more folders than what’s initially shown as needed. You’re also able to choose what video quality to upload items at and whether you want to add photos/videos to Google Photos. You’ll also be able to set USB drives and SD cards for backup from here, too. 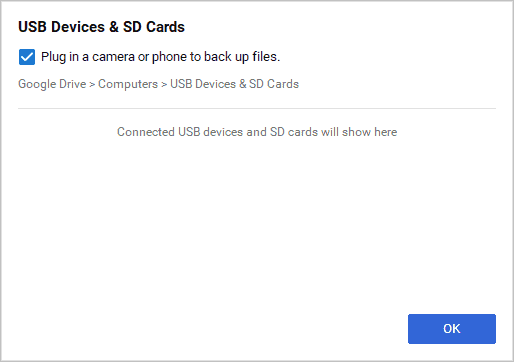 The Google Drive area allows you to choose whether you continue to sync My Drive to your PC or not. This is similar to the settings you previously used in Google Drive for PC. The Settings area gives you a few options on how Backup and Sync works in general on your computer. 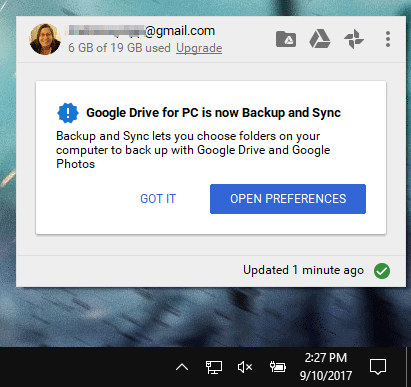 Backup and Sync is a step in the right direction for Google Drive, as is the Drive File Stream for G Suite users. The updated UI for Backup and Sync makes using it much easier, as does support for USB drives and SD cards. Will users be ready to make the switch? It’s easy enough but for people who don’t like change… They’ll wait until the last minute to make the switch to Backup and Sync. Next articleDifference Between DDR3 and DDR4 RAM, Which One Should You Choose?